With our hedgehog belt cleaner you are able to remove foliage and small clods without any effort. By the settings of the rotational speed damaging is minimalised and you will get the cleaning you want to have. It is easy to switch from right to left or the otherway around by turning. 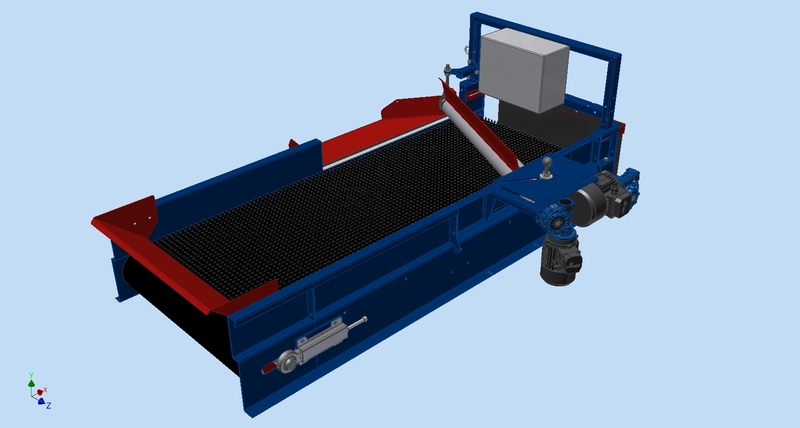 80 or 100 cm wide capacity between 20 and 60 tons per hour. Small diameter gliding roll so small potatoes cannot croll under the roll. The angle of the gliding roll is adjustable for stronger cleaning. Design with or without chassis.